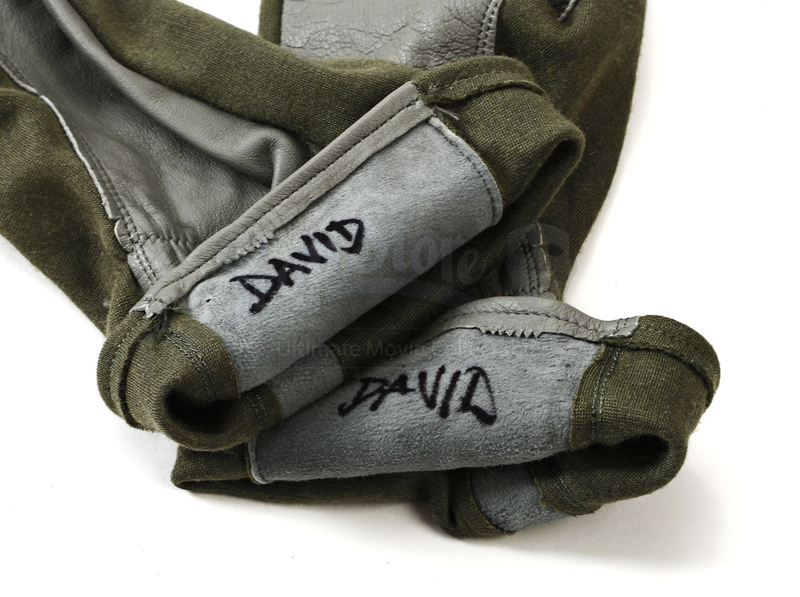 David Levinson's (Jeff Goldblum) Airforce Costume and Oxygen Mask from Roland Emmerich 1996 alien invasion blockbuster, Independence Day. In the film David discovers that the only way to effectively stop the worldwide invasion is to upload a computer virus into the alien mothership. David, along with Captain Steven Hiller (Will Smith), fly the Roswell spacecraft from Area-51 into the mothership where David hopes to undermine the alien threat. 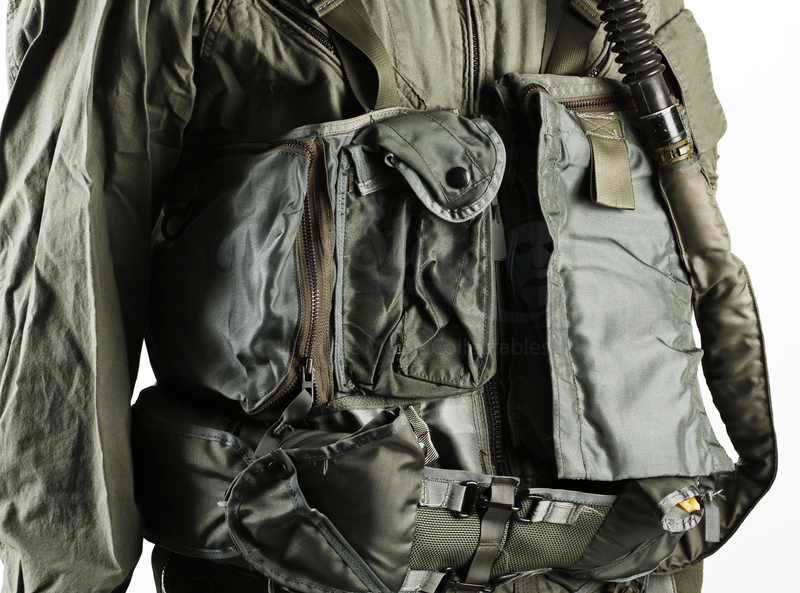 This complete olive green flight suit features numerous pieces and accessories. 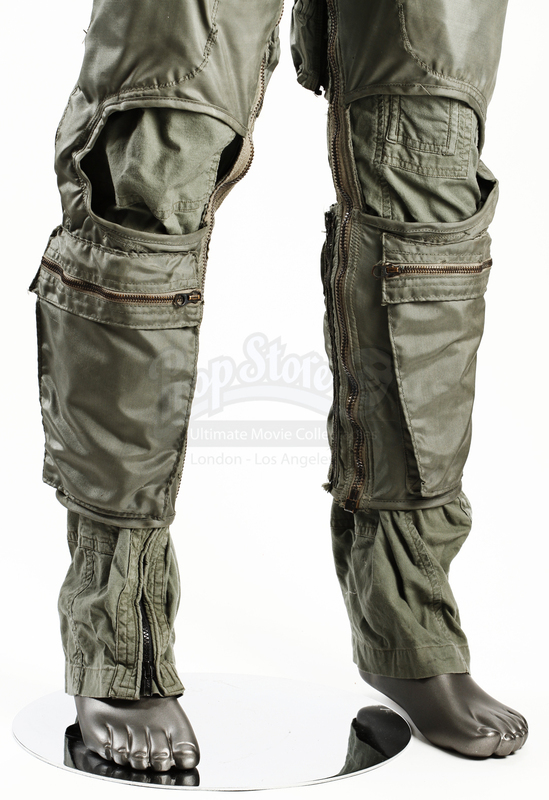 The primary jumpsuit is made from cotton and includes several pockets, which close with metal zippers. 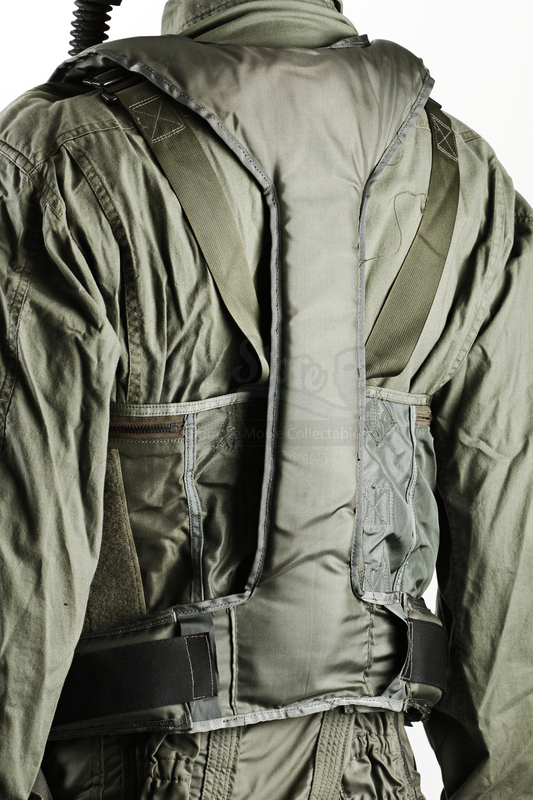 The costume also includes two nylon accessory rigs. 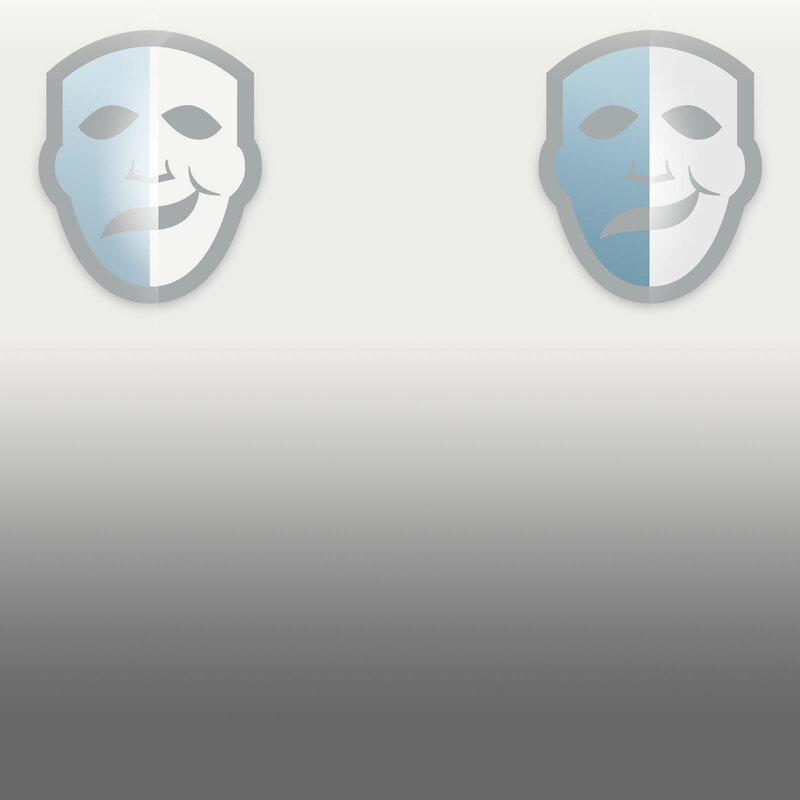 One fits over the pants, and the other fits over the upper-body and includes an oxygen mask. 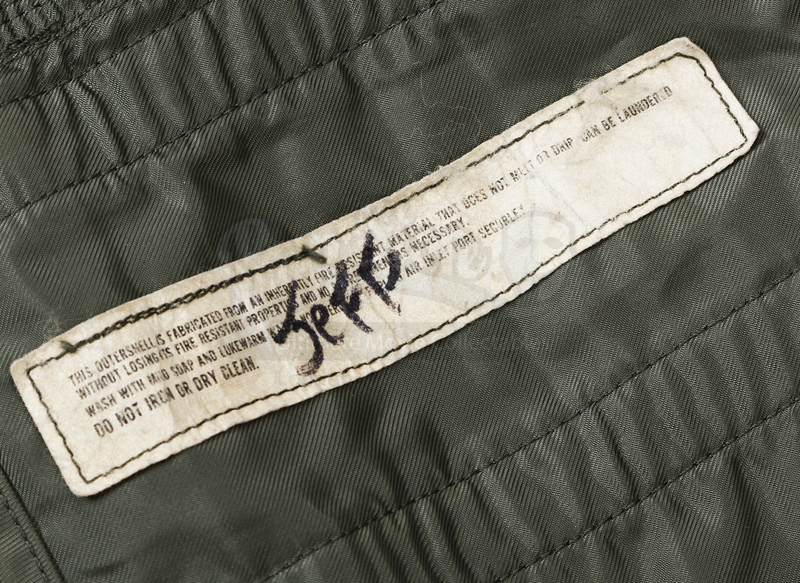 The rigs do not include any items in the pockets, however they have been tagged as worn by Jeff/David. 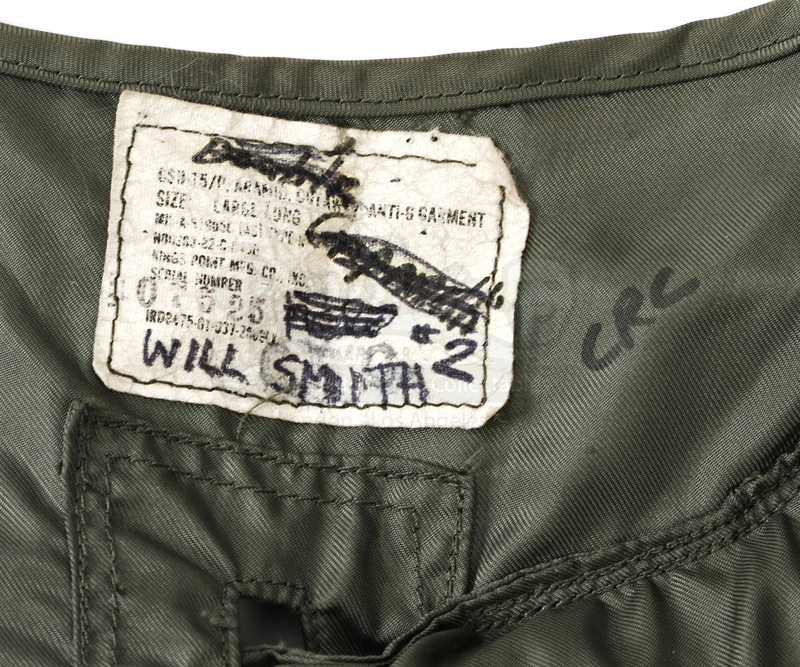 One of the rigs includes tags for both Goldblum and Smith, indicating that the item was used interchangeably by both actors. 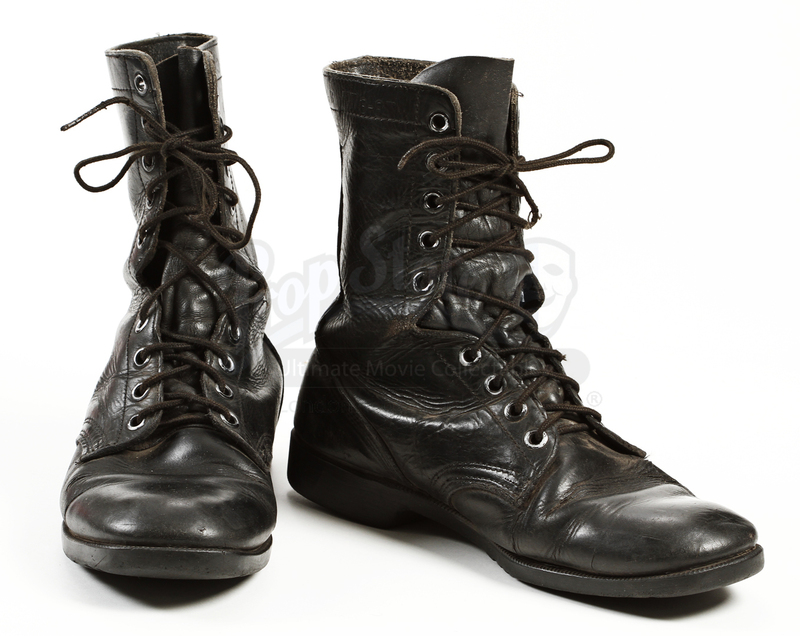 This costume also comes with a single pair of gloves, two pairs of socks, and black leather boots that are listed as size 12.5 U.S. 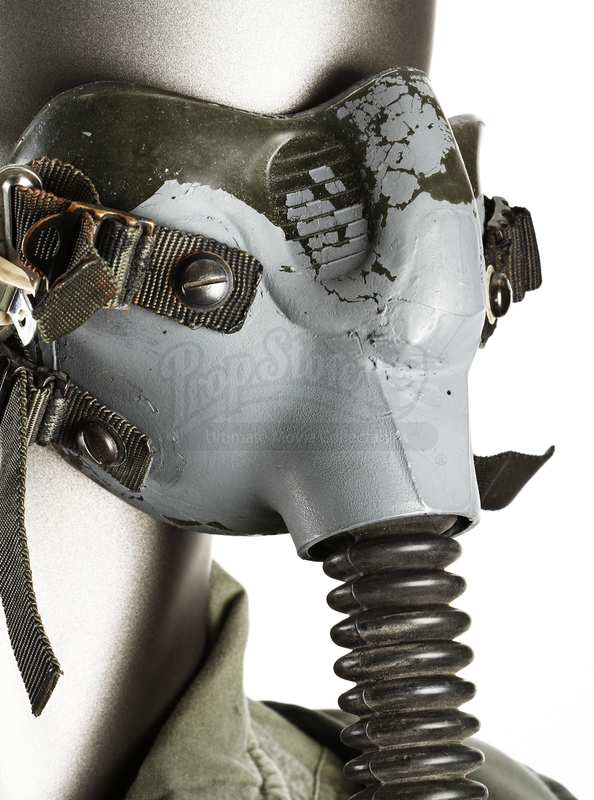 This costume features minor wear from production use and age, including paint chipping on the oxygen mask, however they remain in overall very good condition. 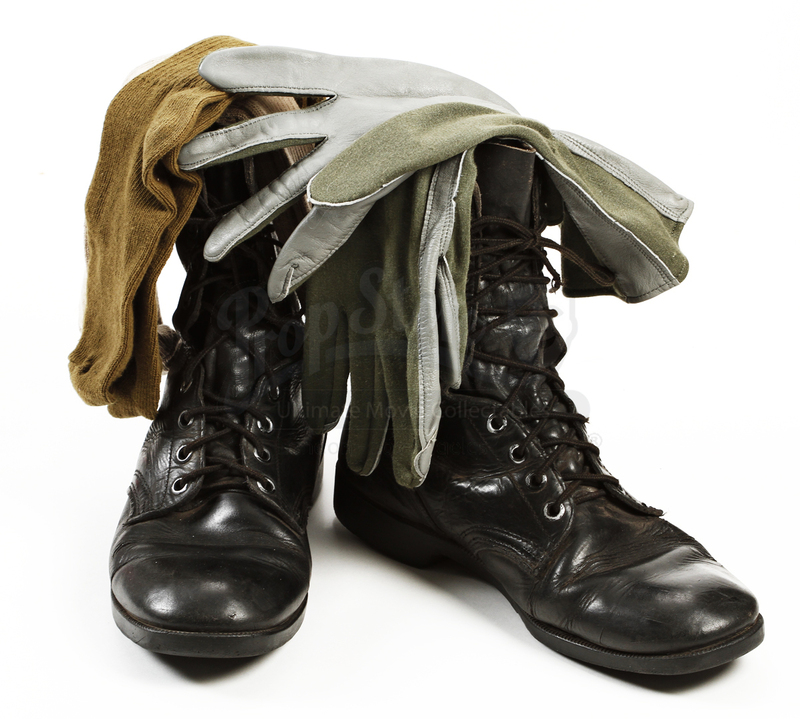 Please note that there is no sizing information available on this costume.